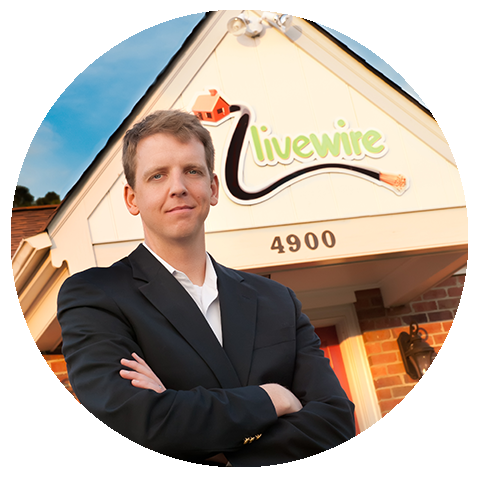 Henry Clifford founded Livewire of Richmond, Va., in 2001 after identifying a need for simple home technology in Central Virginia. He began his career in IT during the .com boom of the 90s, working as a Web developer and Information Architect. His lifelong passion for technology made Livewire an easy choice. Under Clifford’s leadership, Livewire has acquired five competitors since 2011, added 5,000 square feet of office/warehouse space, launched a commercial division (Livewire for Business) and is now the largest HTP in Central Virginia. In 2013, 2014, 2015 and 2016, Livewire made the Inc. 500|5000 (2013-2014), CEPro 100 and RVA 25 (2014) lists. Henry currently serves on the CEDIA Board of Directors through 2019. Each member of the Livewire team has been handpicked, and their combined talents fuel the company’s explosive growth. Livewire is opening a dedicated Lighting Control and Motorized Shading Design Center in 2018. Their facility will be the first of its kind in Richmond and features Martha Moore as their Senior Lighting and Shading Consultant. Livewire is consistently on the CE Pro 100 and holds ESC and ESC-T CEDIA designations. ProSource is family. We love being a part of this industry-changing group. Since joining in 2011, Livewire has more than tripled in size. The relationships and camaraderie are second to none. Our purchasing and product line selection process has become much more refined, and we love adding dollars straight to the bottom line as a result of our membership.